Southern Cross Austereo has had a number of big wins in Newcastle for the first round of ratings of 2018. 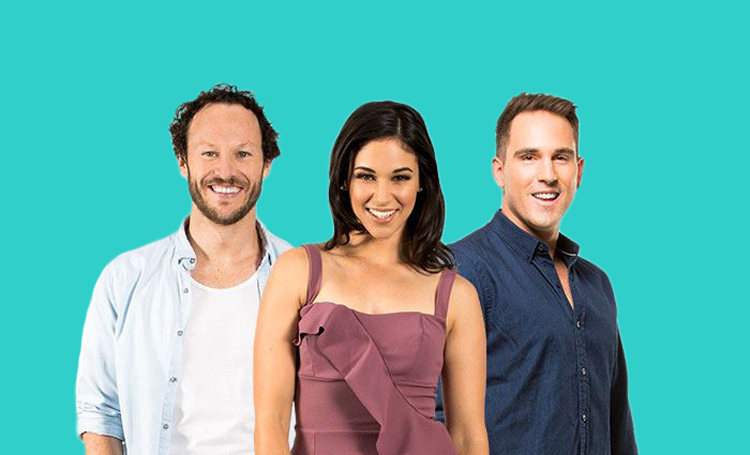 The network claimed #1 and #2 in the Breakfast segment, with KOFM’s Tanya & Steve holding strong to remain on top (up +1.3 to claim 19.1% of the market) and Hit 106.9’s new line-up of Nick, Jess & Simon claiming an impressive +4.9 point gain to 14.6%. These gains in the crucial Breakfast slot translated to improvements overall for both SCA stations, with KOFM and Hit 106.9 jumping 3.2 and 3.4 points respectively among People 10+. Other improvements among People 10+ were made by triple j (up +2.9 to 12.2%) and veteran Novacastrian broadcaster 105.3 NEWFM (up +1.4 to 9.4%). But it was the Drive session that saw the biggest shift, with Newcastle listeners swinging towards the new Kennedy Molloy show in a big way – jumping +6.2 to 18.4% of the audience. But it wasn’t enough to knock KOFM off the top drive spot, with Hamish & Andy replacements Hughesy & Kate claiming 21% (up +2 compared to the last survey of 2017). “To say I’m happy with today’s results would be a massive understatement! This is a result for the ages here in Newy, in fact I can’t remember a result as good as this for these 2 brands,” SCA Newcastle group content director Mike Byrne told Radio Today. “For Tanya and Steve to not only dominate breakfast as they have for years, but to increase their share is incredible. For Hit 106.9’s new breakfast team Nick, Jess and Simon to put on almost 5 percent is just out of this world. Big wins ? There’s no competition in Newie. Good job to everyone at SCA Newcastle. But ‘ claim 1 & 2 victory ‘ really ? There are only three commercial fm’ers in Newcastle. 4 David. 2HD is the 4th. And I think SCAn claiming victory (and rightfully so) because three new breakfast shows launched in the market at the start of this year… New breakfast on Hit106.9, new breakfast on New FM, new breakfast on 2HD. Plus the addition of 2 new drive shows into the market. That new SCA building has just paid for itself. Good results. NewFm sadly is a shell of its once top rating self. It doesn’t own a single demo in the market. Poorly targeted, poorly programmed and in need of a complete overhaul. If only Bill could realise its full money making potential. Yeah it probably does ok now but spend a bit Bill and put in a strong team with good radio smarts, doing some marketing and watch even more cash come in. Congratulations to both SCA and the team at 2HD & NEW FM. The only reason a survey exists is because there is “commercial” competition in Newcastle for revenue, without that it would just be the god awful phone survey, with programming coming from the Gold Coast after 10AM LIKE ALL THE REST. To anyone who likes earning more than 40 K a year in one of the most livable cities, I would be thanking Bill for even paying to go in it! Cheers New FM team for actually bringing something to the table, working under the considerable constraints you have to turn out a great sound, allowing SCA and Mike Byrne to spend and play in the first place. Andrew, JJJ beat Mix in Adelaide 18-24… Um what does that mean? Unless you are looking at the full numbers, especially the male/female splits you really don’t have the knowledge or aptitude to have an opinion on this. To be Frank! ‘SPIZ’ you’d need to see the breakdowns and know how to read them before you make the call that they ‘aren’t targeted’ There would have to be many things worse than working for Bill, second would be feeling the need to have a crack at his employees and i’m not sure this is true for you but first would be no one wanting you in a radio role especially for what you think you’re worth ha ha ha.